Day 1 of our Visionary Cityscape Summer Art Intensive! We're setting up the studio for the first day of our Visionary Cityscape Summer Art Intensive! 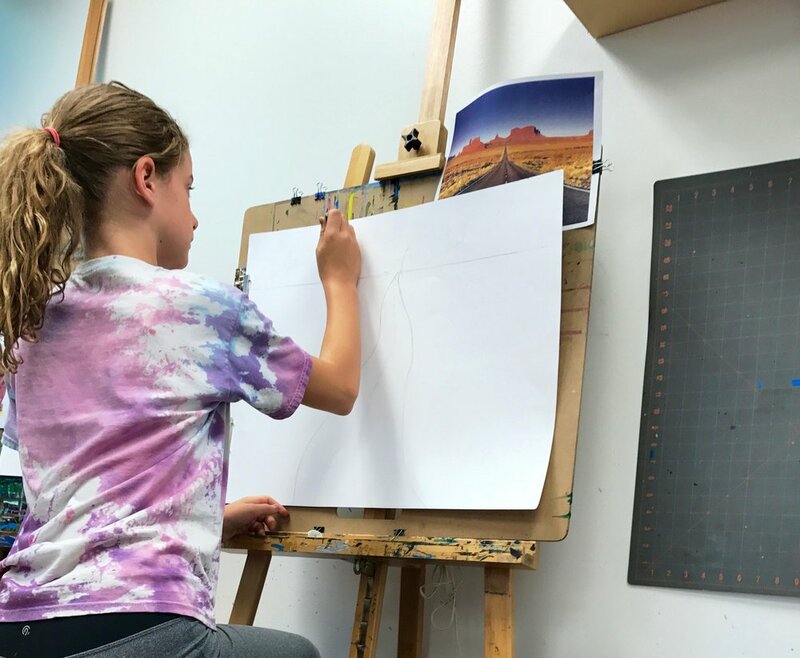 Next up is our Making Minis Summer Art Intensive with Lucia Thome, which will begin next Monday, June 26 and will run until Friday, June 30. There is still space available, so sign up now! Super excited about this acrylic painting in the making! Check back later for the final piece! Surprises are in the making! We always have something fun in the works here at art / work / place! What fun things are these little artists creating? Check back in a few days to find out!